Intro: The Law Office of Lainey Feingold is pleased to announce that its web site has been included in the web accessibility implementation report issued as part of the Web Content Accessibility Guidelines (WCAG) 2.0 implementation process. The process is an international, multi-year effort to revise the accessibility standards for web sites. Details of the current status of the implementation process are below. Lainey Feingold’s Law Office web site, designed by Mike Cherim, was one of only two web sites that satisfied Conformance Level AAA of the revised guidelines. It was the only legal web site that was part of the implementation report. Web accessibility means that people with disabilities can perceive, understand, navigate, and interact with the Web with the same ease of use as people without disabilities can. The Web Content Accessibility Guidelines assist site owners and developers in making sure people with disabilities can fully benefit from the information, services, and products offered on-line. Major U.S. corporations have recognized the importance of web site accessibility by signing settlement agreements with the blind community committing to follow the WCAG guidelines. Read the post summarizing efforts of large commercial entities to make their websites accessible. The web accessibility agreements reached using the Structured Negotiations Process can be found in the Web Accessibility Settlements Category of this web site. 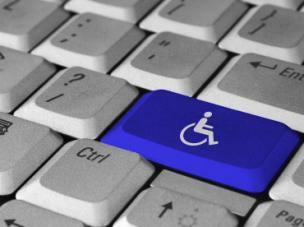 On November 3, 2008, the Web Accessibility Initiative published WCAG 2.0 as a w3c proposed recommendation. The proposed recommendation stage is the next to last stage of the standards development process. WCAG 2.0 is expected to become final in December. In order to become a proposed recommendation, the WCAG Working Group had to demonstrate that WCAG 2.0 could be implemented on real web sites. The Group issued the WCAG 2.0 Implementation Report to meet this criteria. The Implementation List in the report lists thirty seven web sites from around the world, including the Law Office of Lainey Feingold, that were part of the implementation process. The WCAG 2.0 Implementation Summary lists two sites that met WCAG 2.0 Conformance Level AAA during the implementation process, demonstrating the greatest level of accessibility. The two sites were the Law Office of Lainey Feingold and Vision Australia.